This stunning 2Ist century chateau was designed by internationally renowned architect Frank Gehry and is a true masterpiece. Located in "The City of Wine," this 5-star hotel is truly an adventure of a lifetime. Prepare to savor a one-of-a-kind experience of all the senses at Hotel Marques de Riscal. New delights await. Enjoy local cuisine and fine wines at 1860 Tradición or Marqués de Riscal Restaurant, both overseen by Michelin-starred Chef Francis Paniego, or soak up the benefits of the grape at the Vinothérapie® SPA Caudalie Marqués de Riscal. 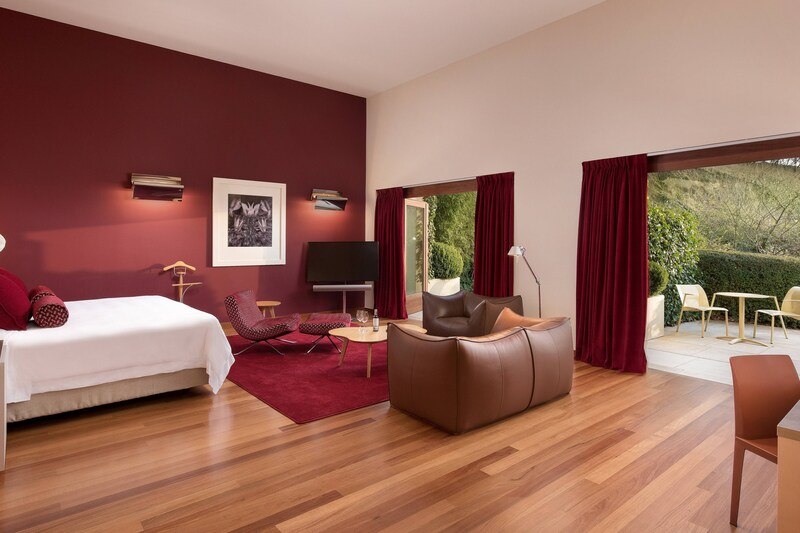 Welcome to the only hotel created by Frank Gehry where each of the unique 43 guestrooms and suites promises to enchant with exceptional designer touches and enviable views of the countryside, medieval town of Elciego or the striking architecture. 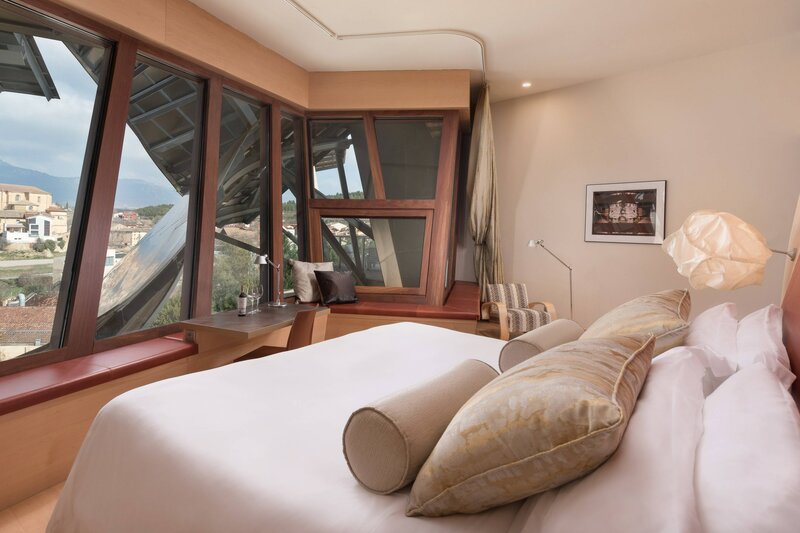 Since its unveiling in 2006 this masterpiece created by Frank Gehry to house the Hotel Marqués de Riscal has become a highly sought after contemporary, luxury retreat. Located in the medieval town of Elciego. The expansive vineyard, dates back to 1858, making Marqués de Riscal the oldest winery in the region. Guests can learn more about wine-making on one of the daily tours of the vineyard’s state-of-the-art facilities. 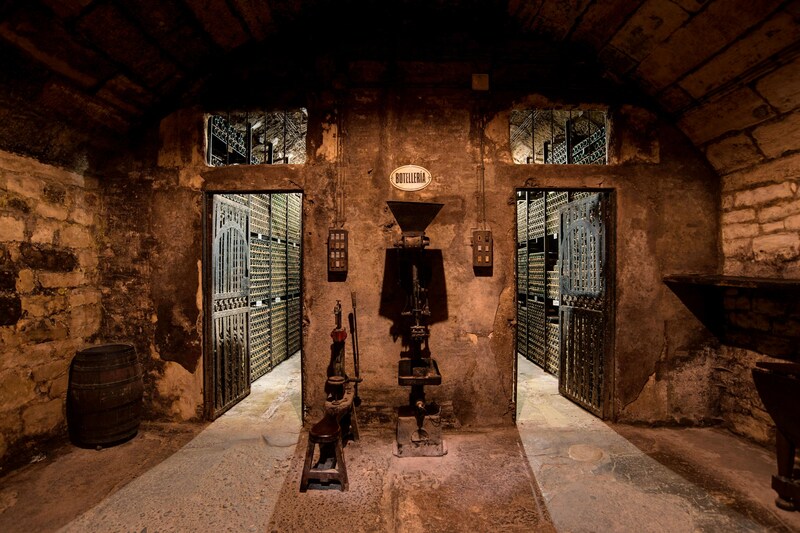 The fascinating journey from grapevine to bottle unfolds as visitors make their way from fermenting rooms to aging rooms stacked high with oak barrels to the enormous cellar housing eight million bottles of wine. 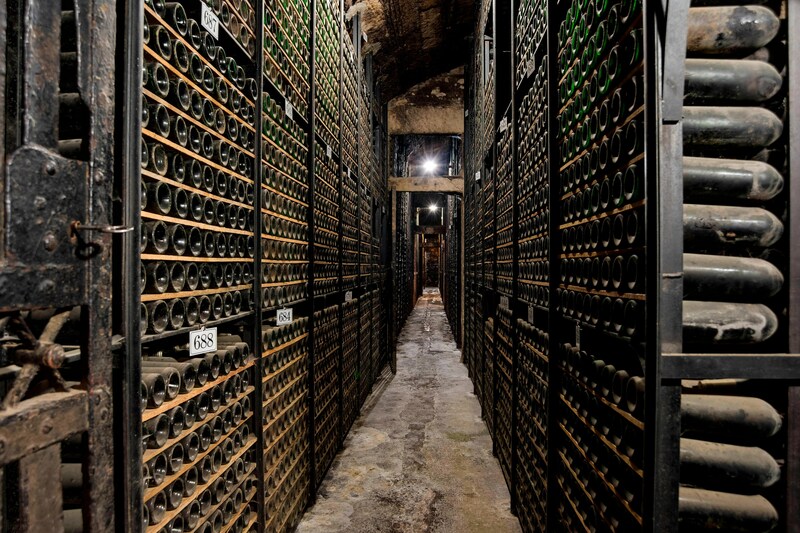 A veritable viticulture ‘cathedral’, the cellar contains vintages dating back to 1862. 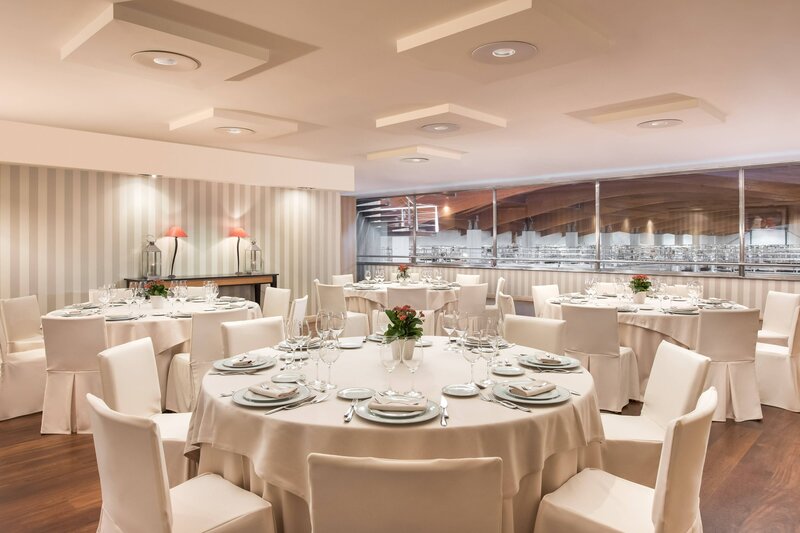 Under the inspirational guidance of famed chef Francis Paniego the restaurant is experiencing an ongoing culinary evolution based on culinary excellence and innovation. Its culinary excellence and superb levels of service have earned the restaurant a prestigious Michelin star and helped make it one of the hottest destinations in the region for gourmands. Under the inspirational guidance of famed chef Francis Paniego the restaurant is experiencing an ongoing culinary evolution based on culinary excellence and innovation. 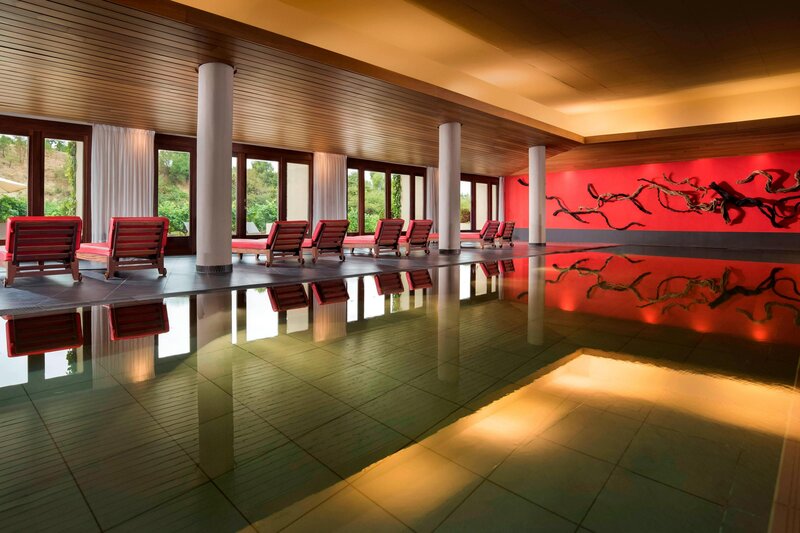 The perfect place to relax and indulge in the health and beauty properties of the grape. Surrounded by, and with enchanting views of, the lush vineyards of the Marqués de Riscal estate this 1,400-square-meter haven of wellness promotes the rejuvenation of both mind and body. A beautiful setting amidst rolling hills and vineyards. A bespoke ceremony under a masterpiece. 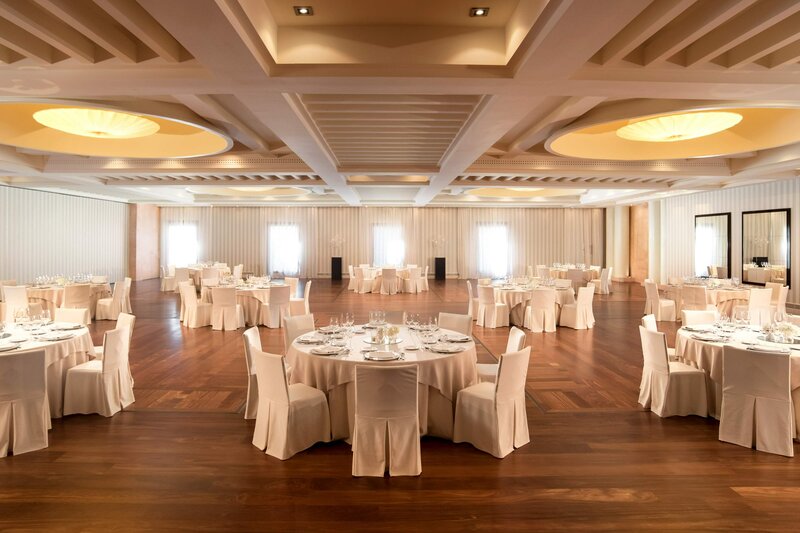 Versatile spaces to host up to 400 guests. A culinary array of more than 100 possibilities to create your own special menu. 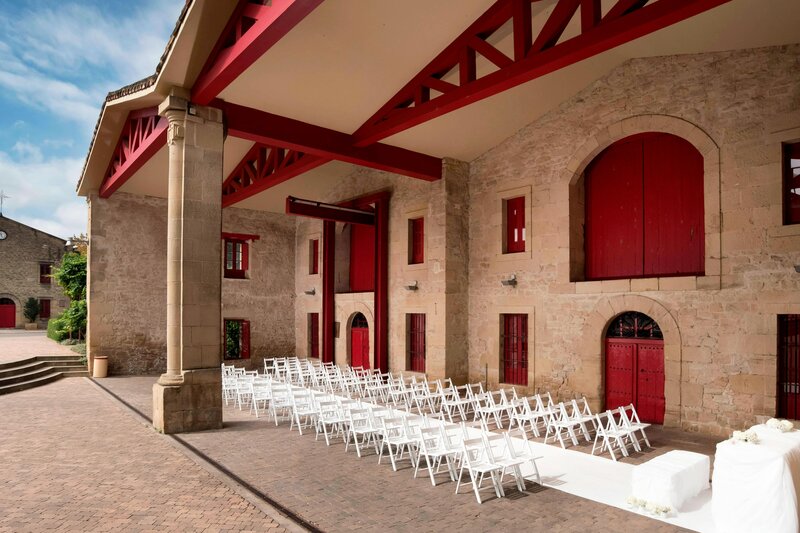 To ensure your nuptials are a unique reflection of your style and personality allow the team to help orchestrate details of the event, from bespoke decorations and flowers, through lighting options to take you from cocktails to late-night dancing, to a host of personalized details. 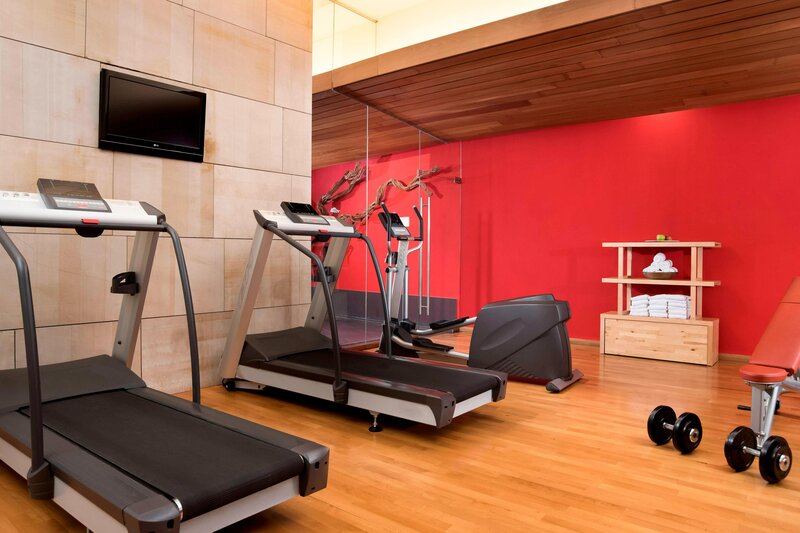 The hotel’s luxurious interior bears the unmistakable stamp of Gehry’s design. Tilted walls, zigzag windows, cathedral-height ceilings and a host of bespoke details create the impression of accommodation as a work of art in its 43 rooms & suites. 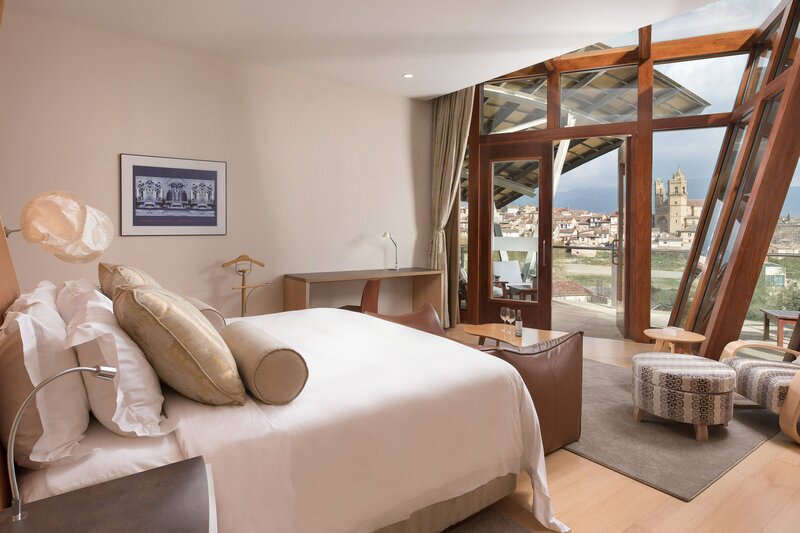 Staying at the Hotel Marques de Riscal is an experience unlike any other, where Frank O. Gehry’s avant-garde, neoclassical style permeates throughout providing splendour, joy, and surprise around every corner. 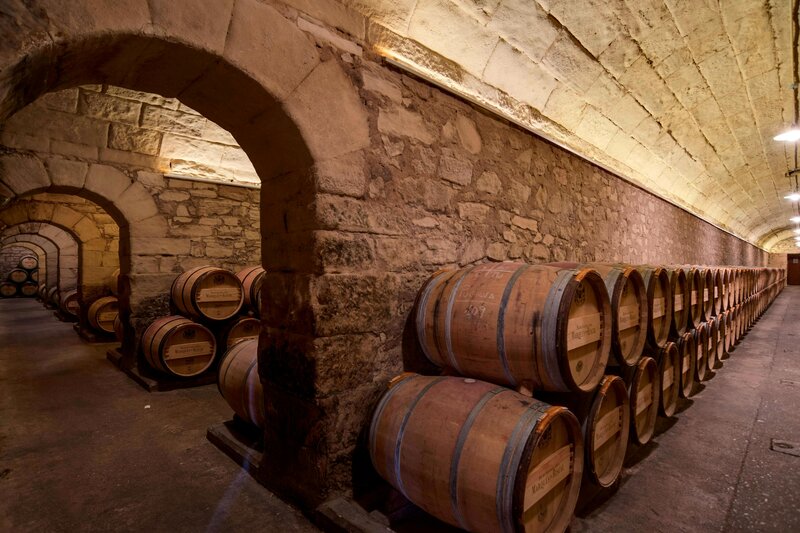 Located in the medieval town of Elciego, the Hotel Marques de Riscal and its surrounding City of Wine provide the ideal starting point from which to explore the nature, tradition and exquisite gastronomy associated with wine.